Two minds lost in music. That would be the perfect definition for Luca and Elia, better known as Undercatt. They met each other years ago, during a club night where they were both playing. Luca, the older one, immediately noticed Elia’s skills on the decks, impressive for a 17-year-old boy at that time. They felt a natural harmony right away and so it was inevitable that the two became real friends and self-proclaimed elder & younger brothers. Their connection became stronger and stronger as time went by, although they had decided to continue producing and performing separately at first. In 2011, they joined forces with Bruni and Danielle and established the Yuma brand. 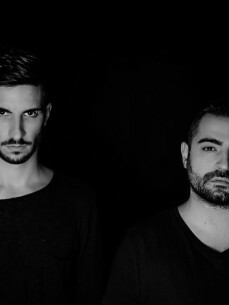 Born as a quality label, Yuma rapidly became a crew that launched a successful party-series in the area of Pisa, Tuscany. In 2013, Yuma obtained the art direction of Vibe Club, proposing a new and innovative way to experience the Italian nightlife.